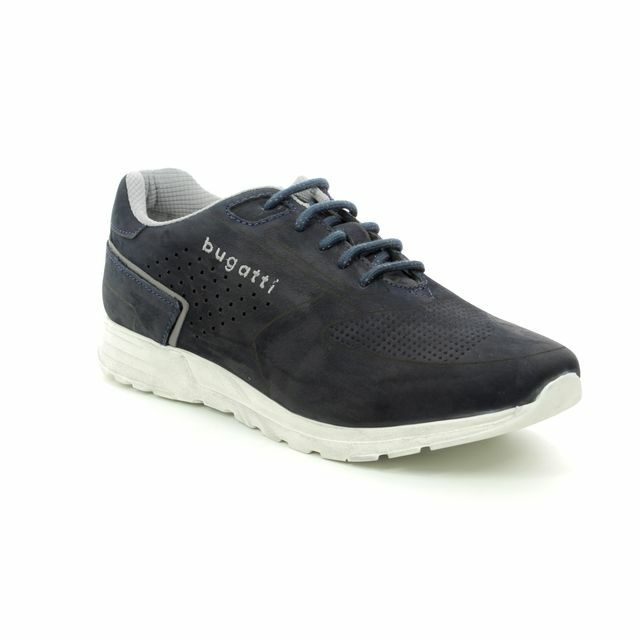 Bugatti brings us F4705/0427 RIVER. 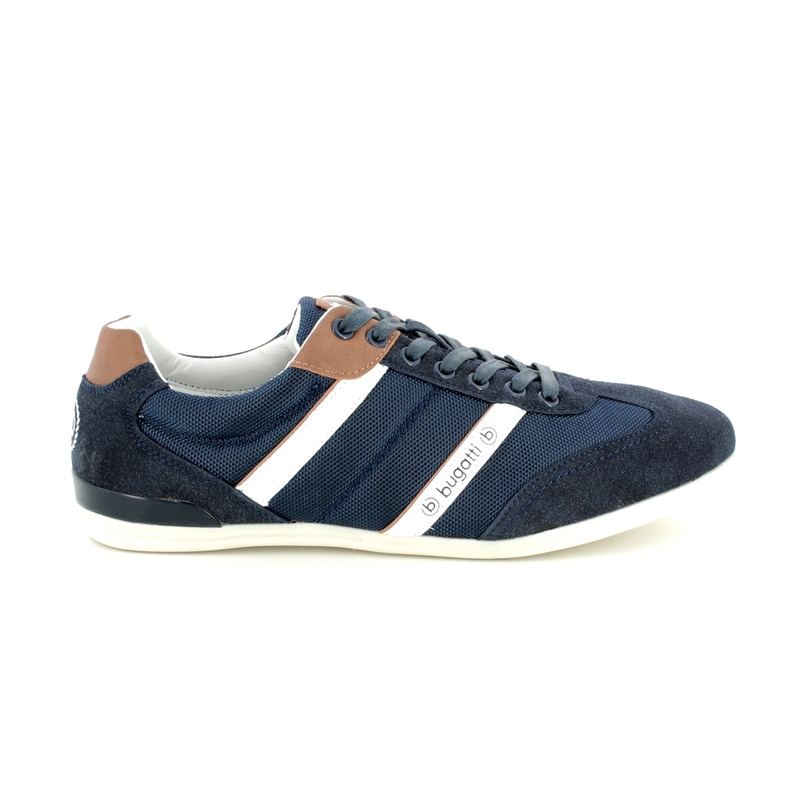 These stylish navy trainers are perfect for your off-duty wardrobe for evenings or weekends. 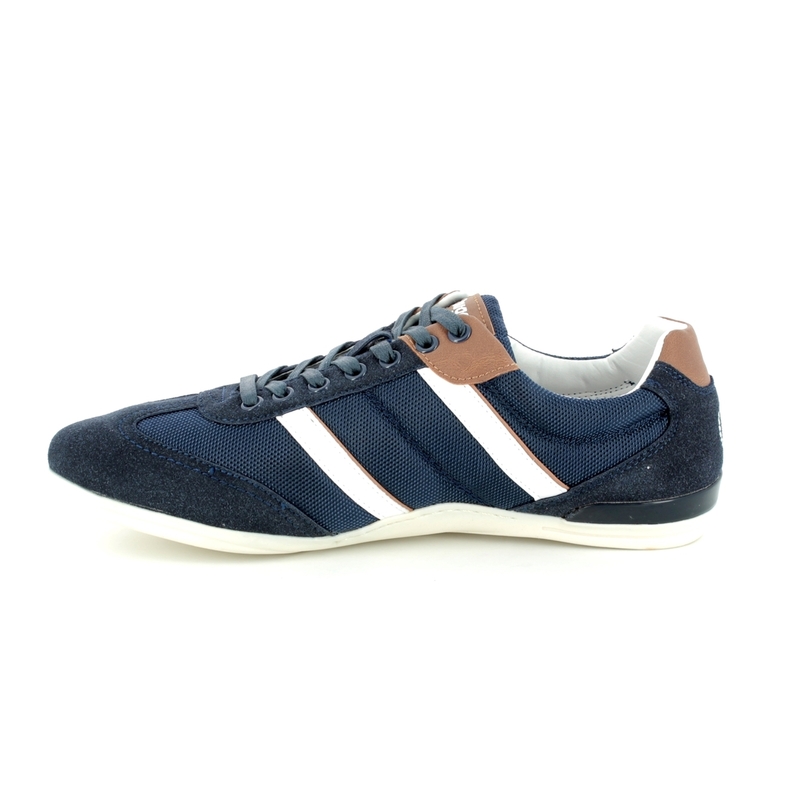 The upper is made from a woven textile with synthetic suede overlays to the toe and heel. 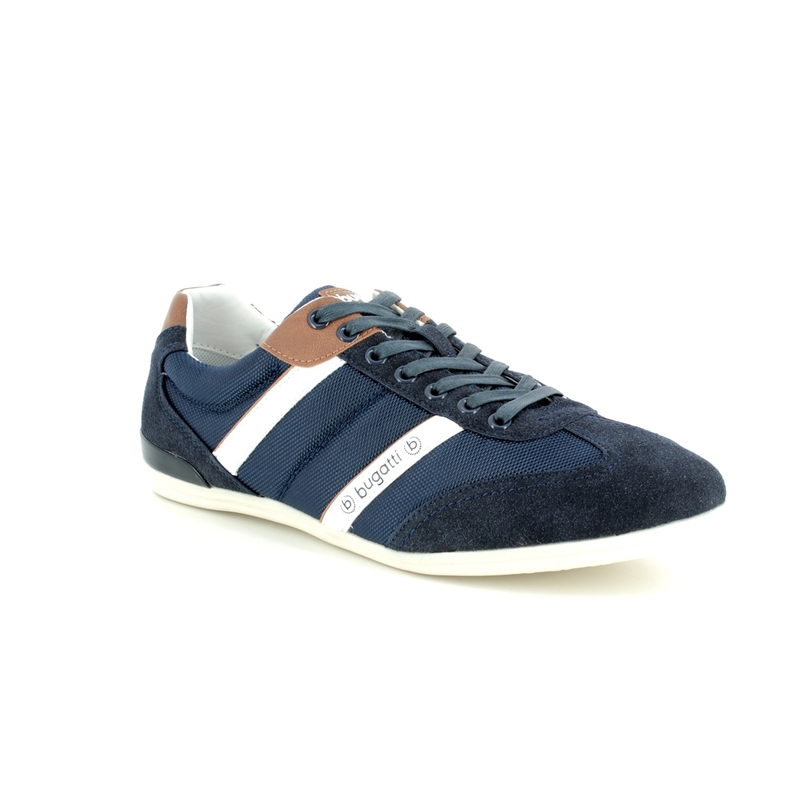 There are also contrasting tan synthetic leather overlays to the heel and around the laces for a stylish effect. 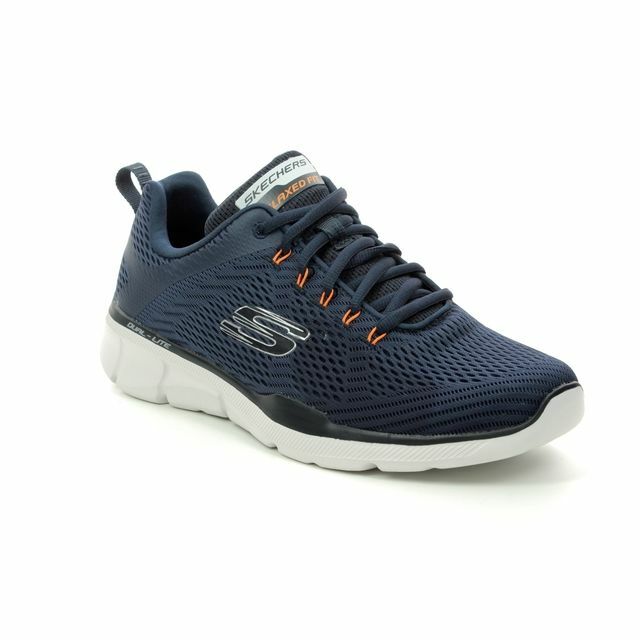 The lace fastening ensures you can achieve the optimum fit. 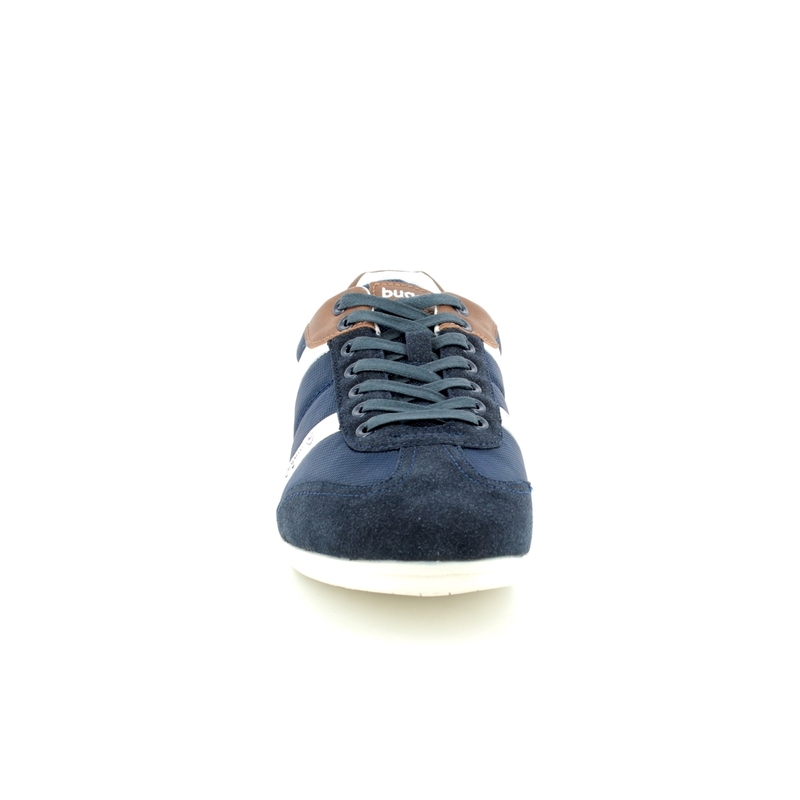 For your comfort there is a padded collar and padding at the heel on the footbed. 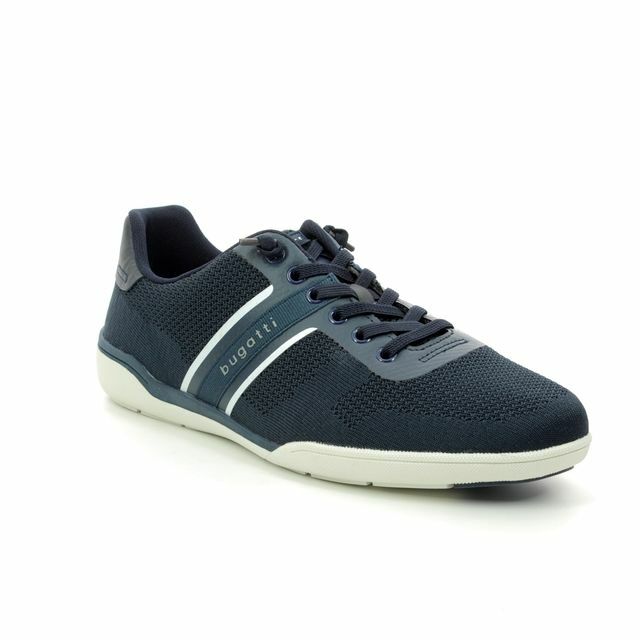 The low profile sole is made from a synthetic rubber that is lightweight and flexible for your comfort while wearing. 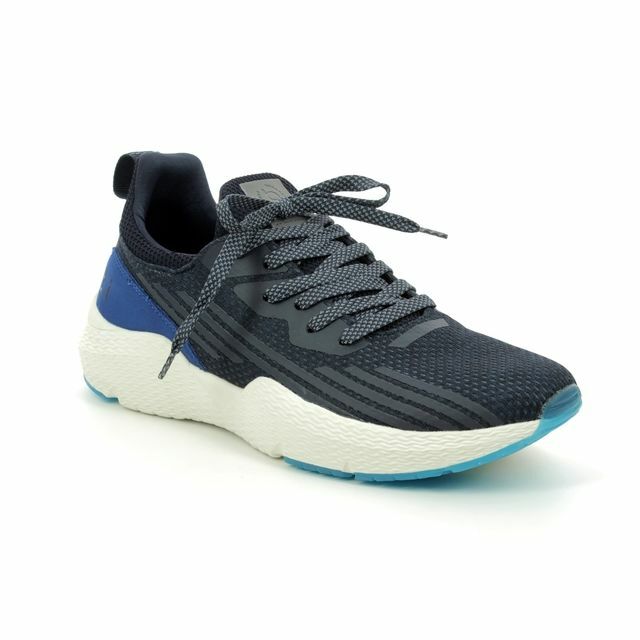 There is Bugatti branding on a contrasting side strip and on the tongue and heel. 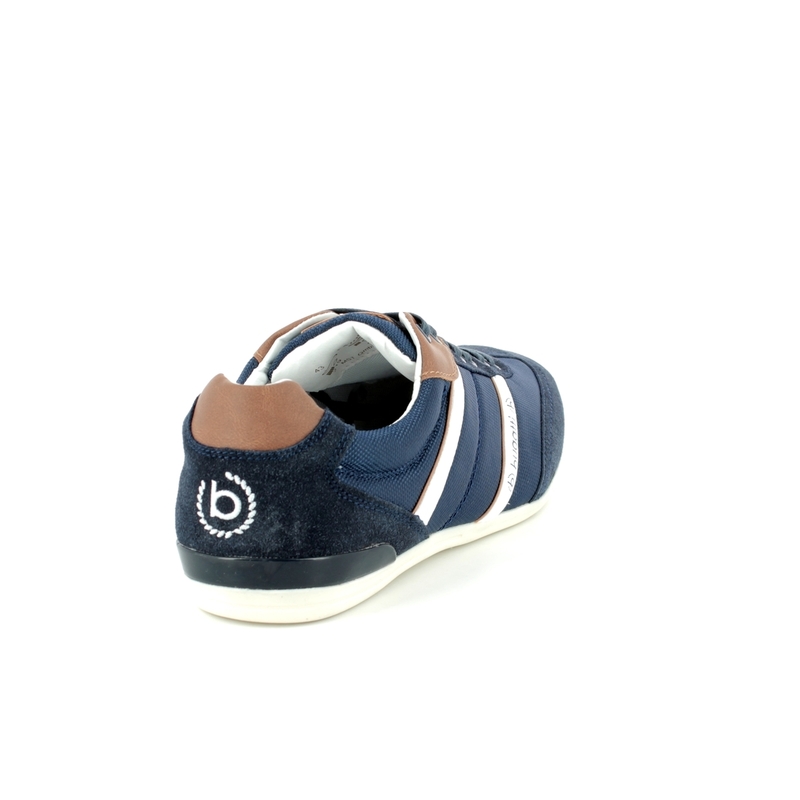 Buy your Bugatti men's trainers from Begg Shoes, an official Bugatti stockist.